The United States and Hungary were the first countries to reject the UN’s migration pact. However, many countries have since followed in their footsteps. The pact is primarily criticized because it doesn’t differentiate between legal and illegal migration. 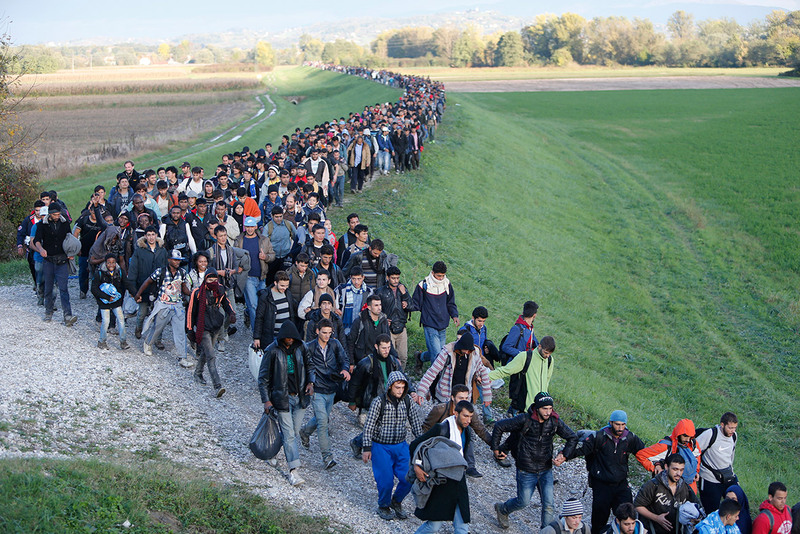 Hungarian officials claim it harms sovereignty and legitimizes illegal migration. Hungarian Foreign Minister Péter Szíjjártó thinks that the global migration compact will only worsen Europe’s situation as it will encourage millions of people to set out, risk their lives and pay millions of dollars to human smugglers. Szíjjártó insists the package would pose a “serious danger” to Europe as it is “aimed at legalizing illegal migration as a fundamental human right.” He warned that Hungary would vote against the proposal at next year’s UN general assembly session. Austria is the first country to follow Hungary’s example. Concerning the UN package, Vice-Chancellor Heinz-Christian Strache said that Austria disagreed with 17 out of the 23 points. Austria would vote against the package to prevent “bad development,” he said, adding that the line between legal and illegal migration must not be removed. On November 14, The Czech Republic joined the growing ranks of European Union countries rejecting the UN pact. Prague also criticized the decision because of the lack of clear differentiation concerning migration. In a statement, Bulgaria revealed it would be not be siding with the United Nations on the matter. Slovakian Prime Minister Peter Pellegrini said he was concerned his country might be required to receive more migrants than it wishes to. “Our red lines are obligations that would limit our sovereignty to decide about accepting migrants,” he told reporters after a government meeting. On a global scale, America was the first major player to say no to the pact. The Trump administration is leading the international opposition against the compact, claiming it harms sovereignty and legitimizes illegal migration. On Wednesday, Australia’s conservative government also said it would not sign the pact because the agreement would undermine its existing immigration policies. Australia is widely known for its hard stance towards migration.